The elderly residents who live at the SARquavitae Ciudad de las Artes Nursing Home for Elderly People feel completely at home strolling around the magnificent garden and spacious, airy common spaces. 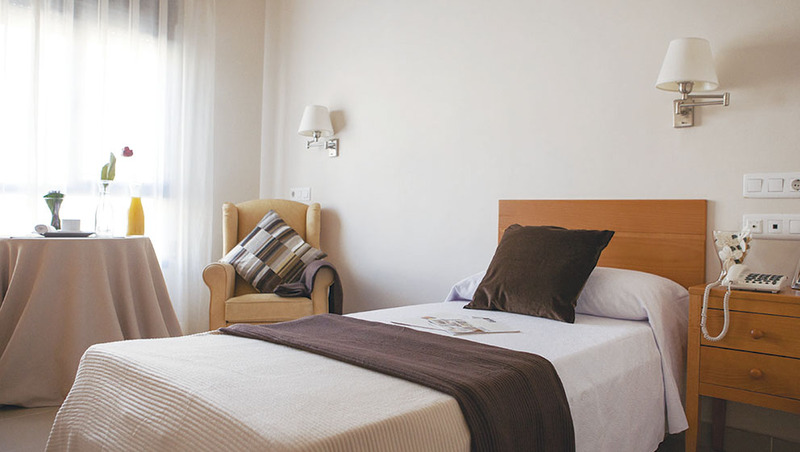 All the bedrooms are outward facing, giving permanent contact with city life in Valencia. The Nursing Home for Elderly People is laid out so as to give residents personal care. They live independent cohabitation units, with their own facilities such as dining and living rooms. The DomusVi Ciudad de las Artes nursing home for is close to the city centre and the port,, near the City of Arts and Sciences of Valencia and is very convenient. DomusVi Ciudad de las Artes has both private and partially subsidised places with the Consellería de Benestar Social de la Generalitat Valenciana.